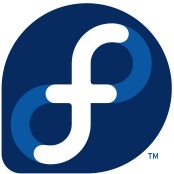 While Fedora is generally known to ship the very latest upstream software with each release, Fedora has continued shipping Mono 4.8 even though Mono 5.0 shipped in May 2017. With the Fedora 31 release due out later in the year, they are finally working on switching to Mono 5. The transition from Mono 4 to Mono 5 had been held up because of changes in their compiler stack and it depending upon some binary references. The Mono build process depends upon some binaries, which are actually available as source, but treated as pre-compiled binaries for simplification and speed. This change caused issue for Debian and the Fedora developers are also in the same boat due to being adverse to binary components in their build process. Mono also requires itself to build and using Mono 4.8 isn’t able to build Mono 5. The Fedora developers feel they have a path forward now as outlined via this change proposal and will be working to get Mono 5 into Fedora 31. This upgrade will allow cross-platform applications relying upon Microsoft’s .NET to now work if they have required .NET Framework 4.7 or later. Mono 4.8 also hasn’t worked on PowerPC 64-bit but Mono 5 should, among other benefits to upgrading this open-source .NET stack. Usually, you want to mitigate all possible vulnerabilities unless we are talking about Meltdown and Spectre which are a class or family of dozens of vulnerabilities. But what sysadmins hate more than these vulnerabilities are mitigations offered to these vulnerabilities. Some of these mitigations have a massive impact on performance, while not offering any significant protection. Gauging the pros and cons, sysadmins have gone as far as asking the Linux kernel community to give them an option to disable these mitigations. The Linux kernel community always listens. Linux Kernel 4.15 added the ability for sysadmins to disable the kernel’s built-in mitigations for the Spectre v2 vulnerability, then Linux Kernel 4.17 offered the option to disable all mitigations for Spectre v4 and now Linux Kernel 4.19 allows admins to disable mitigations for Spectre v1. You may or may not trust NSA, but they have a very decent guide on GitHub to help keep up with all Spectre related vulnerabilities. Find out what users have to say about products in the emerging SDS market. Software-defined storage promises two very attractive benefits to the enterprise: flexibility and lower cost. But how can IT pros know which software-defined storage (SDS) product will best meet the needs of their business? Peer reviews published by real users can facilitate their decision-making with user feedback, insight, and product rankings that collectively indicate which products are in the lead. Based on our real user reviews at IT Central Station, these products are some of the top choices for software-defined storage today. However, a CTO at an IT consulting firm said while Nutanix has the ability to connect to Azure or AWS for storing backups, he would like to have the capability to spin up a backup on Azure or AWS for disaster-recovery purposes. “Right now, you can only send a backup to either Azure or AWS. We would like to take a backup and spin it up to an actual server that could be connected to by users from the outside,” he added. Here are more Nutanix reviews by IT Central Station users. Read more VMware vSAN reviews by IT Central Station members. A network engineer at a tech service firm reported that “Shelf level-redundancy is one of the big things that StoreVirtual has had before some other SAN manufacturer or SAN model brands, which is pretty nice. It can be rather expensive because you are much less efficient when you have that redundancy, but it’s definitely a benefit if you really need access to that data. Read more HPE StoreVirtual reviews. You can read more Dell EMC ScaleIO reviews here.